Nugget Markets is an upscale supermarket chain that is family owned. 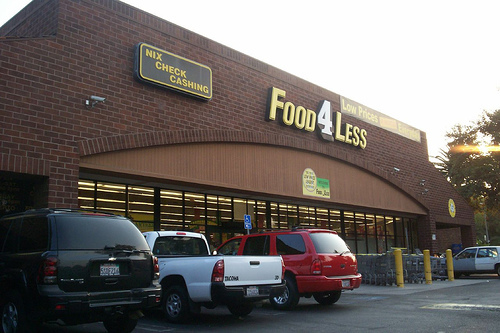 This supermarket chain operates in the metropolitan area of Sacramento, California, where the company headquarters are located. The company has grown and as of 2009, it had three Food 4 Less franchises and nine Nugget-brand stores. Nugget Market started in 1926 when a father and son, William and Mack Stille, decided to team up to open a store. The first store was established in the central part of Woodland, California. Most of the daily operations were handled by the son Mack, who helped in the pioneering of several concepts, including installation of refrigerated fruit cases, incorporation of meat departments into the grocery store and employment of checkout stands having take-away power belts. A notable feature that customers acknowledge is the employee and customer-friendly approach embraced by the company. The company provided its employees with some of the top benefit and wage packages in the grocery industry. The company initiated the Fresh to Market concept in the late 1990s. The concept laid emphasis on the application of an artful approach to marketing. This entailed adoption of classical exterior architecture, elaborately designed product displays, heavy use of sunlight and a modern approach to interior design. Long’s Drugs bought Nugget’s in-store pharmacies in 2008.